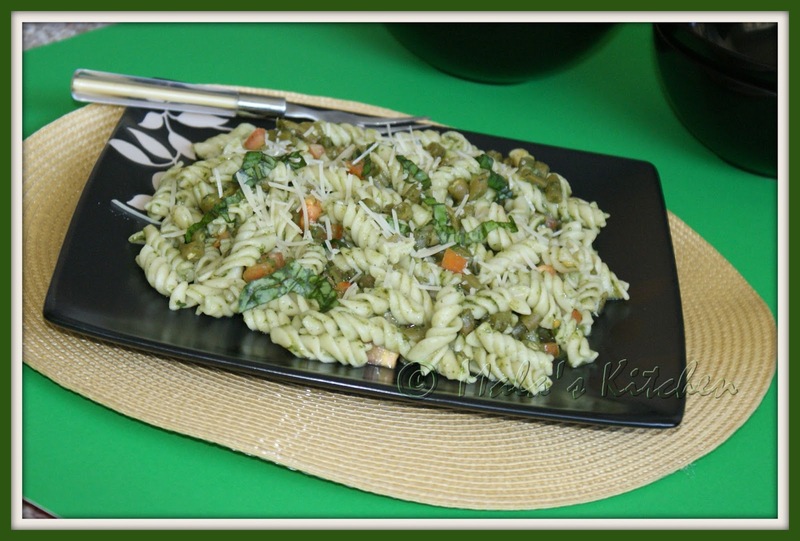 Its a basil flavour of pasta and healthy dish. we all loved it simple to make that too working people and the bachelors. In a large pan , add water and pasta cook for a while until pasta done. Drain pasta rinse under cold running water and drain again. Meanwhile in a blender add basil, oil, and water make a puree. Garnish with basil leaves & Serve hot.